Very Good. Some shelf wear, otherwise book content is in very good condition. A-format paperback. 272 p. Inspector Rebus , 2. Very Good. No Jacket. 12mo. One of the Inspector Rebus novels. light creasing to spine. Very Good. No Jacket. 12mo. One of the Inspector Rebus novels. no creasing to spine. While this is not the first John Rebus book in Ian Rankin's DI Rebus series, it is much better than the first. Good plot, developing characters, and excellent writing. While I trudged through the first book I read Hide and Seek like a hot knife through butter. 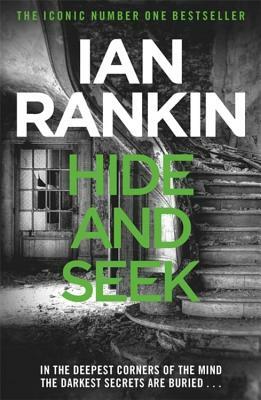 There is enough background of DI Rebus in Hide and Seek that you don't need to start with the first in this series. Good, good read. sure I will enjoy it. This author is one of my favorites.